The biopeeling is based on a combination of different herbs in the treatment and the ingredient perfluorcarbon in the gel and cream for home use. The biopeeling ensures the cell division speeds up (normally in about 28 days and using neoderma in 10 days). This stimulates the skin’s metabolism and the production of collagen. The biopeeling has a therapeutic and rejuvenating w effect and no skin layer is damaged in the process. Because the skin remains intact, it keeps its protective layer. This treatment is very suitable for impure, greasy skin with blackheads, enlarged pores, acne, acne rosacea, acne scars, scars, pigment blemishes, wrinkles, sagging skin, skin in bad condition, bad circulation and smokers’ skin. The biopeeling is applicable as a one-off treatment with or without a beauty treatment (preventative function) or as a mini-course (3 times in 10 days). Important: As this isn’t a normal treatment , but an intensive therapy, please read the following information carefully. For the first 12 hours after treatment, don’t rinse your face with water. Clean with a damp wash-cloth but do not rinse because this will dilute the treatment. Massage gel and cream into the skin and then apply sunblock. (If there’s a lot of sun, once every 3 hours). Drink a lot of water, preferably 2,5 litres a day. – Do not go on a sun bed or sunbathe in the real sunlight. – Don’t cause strong circulation in the skin. 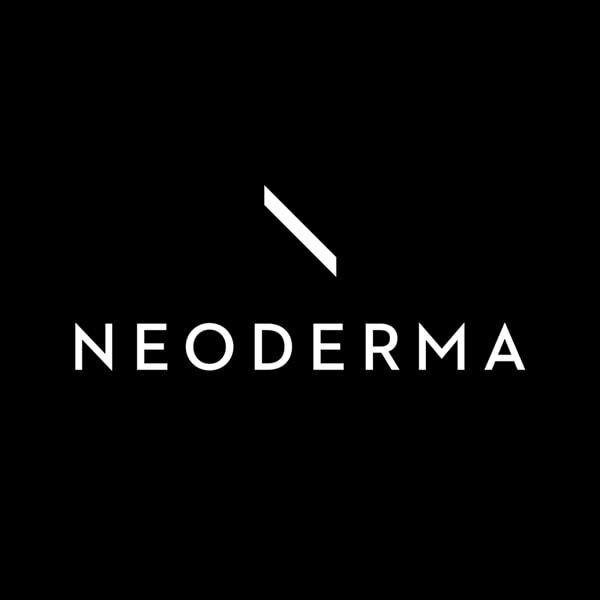 If you click on the logo you can order products from Neoderma. Or visit us in the salon. Did you know you can have a biopeeling treatment during the summer months? It is even a very good idea to have a biopeeling treatment 8-10 days before your holidays, because this ensures a beautiful even tan. In principle you can go into the sunshine 24 hours after a Neoderma Biopeeling, as long as you use the Blue Blood Sun Cream (with Perfluocarbon). You’ll need to re-apply this ever 3-4 hours. Are you susceptible to pigmentation? Then it’s important (even without biopeeling) to use good sun-protection at all times!